It was once again a good way to start a day (in Mumbai!) today to see my yesterday's Kaleidoscope picture in first place at the Daily post! Thank you all for your wonderful comments! Very nice lighting and clarity. 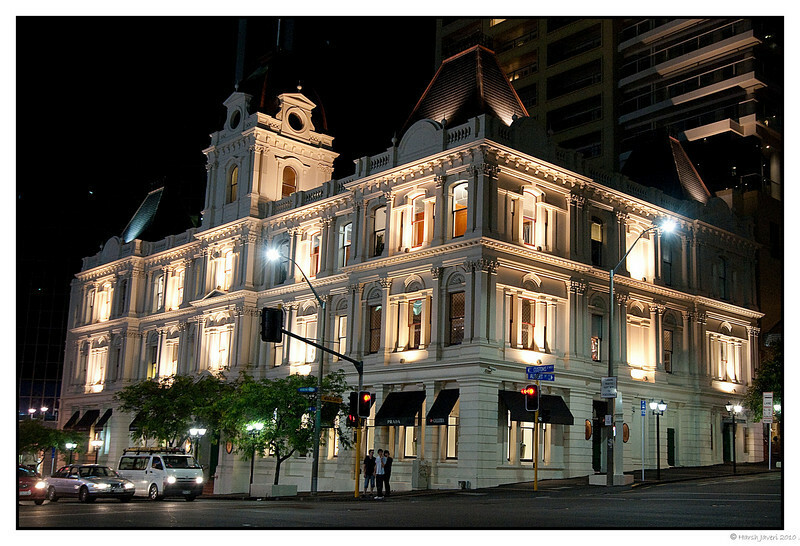 Great night shot of this beautiful building, great lighting! This is really beautiful. A great evening shot, nice color and clarity! Interesting juxtaposition of old and new. Fabulous shot and exposure...be sure to view in 3x! Fantastic composition, great night shot. Lovely shot and building !